Adds Address Validation and Postcode Lookup to WooCommerce via Loqate, SmartyStreets, and more! WooCommerce Address Validation allows you to simplify your checkout process by having your customer validate or lookup their address during checkout. If your store has tried to ship to an invalid address, you know it has cost you both the time and money to resend the order to the customer. Easily add address verification, auto-complete, or postcode lookup to your WooCommerce Checkout. WooCommerce Address Validation will simplify your checkout process and improve order address quality by having your customer validate or lookup their address during checkout. Address auto-complete is available with Addressy, which works for stores in any country. Merchants in any country can sign up for an Addressy account to get started. US address verification uses SmartyStreets, which lets customers verify an address, or accept recommended adjustments needed. 250 lookups per month are available for free, and additional lookups can be purchased. SmartyStreets is for US merchants / US address verification only. Address lookup by postcode is available for UK or NL addresses via one of the following providers: Postcode.NL, PCA Predict, PostcodeSoftware.net, or Crafty Clicks. PCA Predict, PostcodeSoftware.net, and Crafty Clicks use data from Royal Mail to perform UK address lookups based on postcode, so you can be assured of address data accuracy. You’ll need a low-cost plan with any of these providers to perform UK postcode lookups. It is easy to use and simplified checkout process. I recommended it. If your store has tried to ship to an invalid address, you know it has cost you both the time and money to resend the order to the customer. 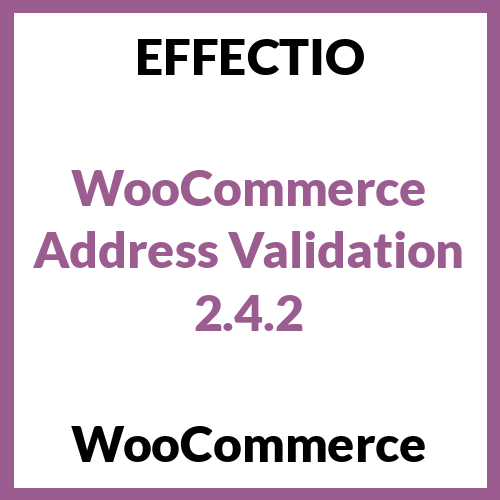 Easily add address verification, auto-complete, or postcode lookup to your WooCommerce Checkout.